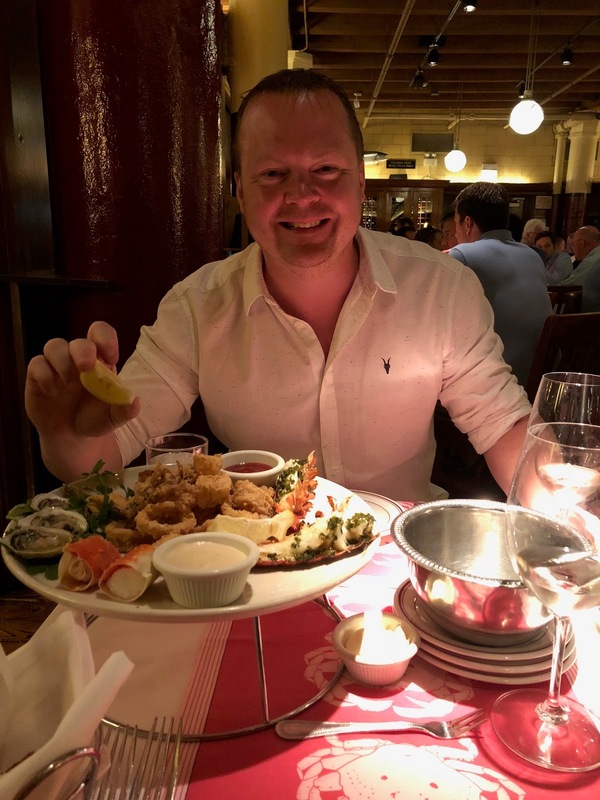 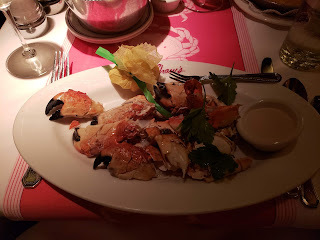 Last Wednesday was date night, we ended up going to Shaw's Crab House. Old school fish restaurant. It was great. 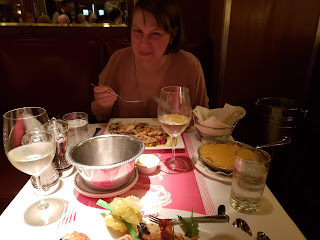 Very pricey (our most expensive diner her yet). We had a mixed hot platter to begin with before April had some soft shell crabs, I had a pound of crab claws and a side of potato gratin too. 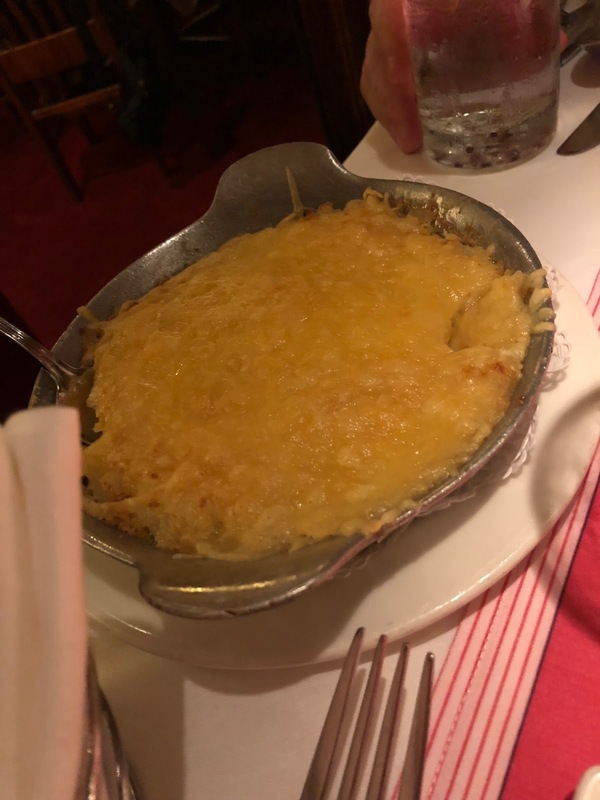 It was more cheese that potato. 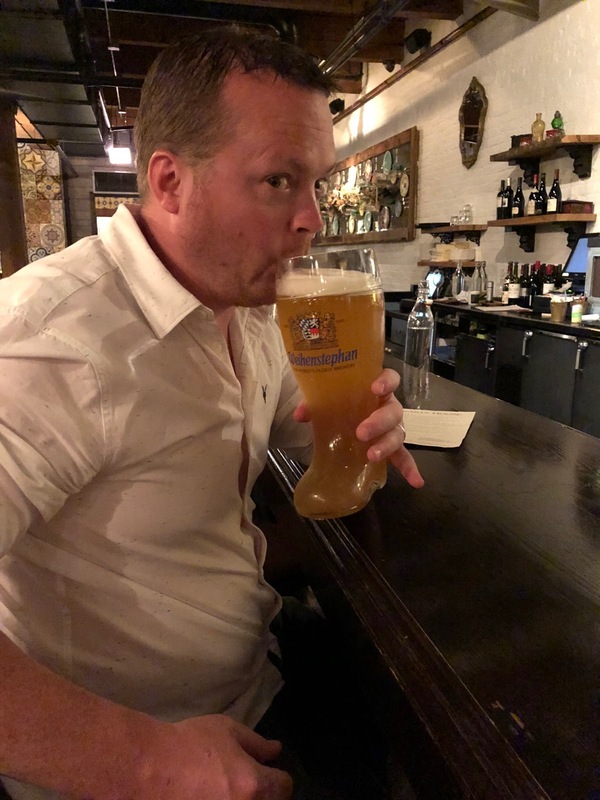 Here's me in in a Bohemian bar afterwards drinking beer out of a boot.